The spot opens on a mysterious wanderer and his trusty steed as he discovers a literal fork in the road. 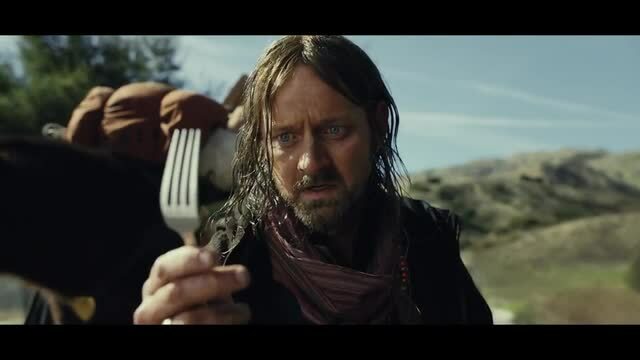 We come to find that the wanderer is on a quest for breakfast and the fork in the road is forcing him to choose between pancakes or omelettes. Which way to go? He struggles deeply with this quandary until he’s abruptly rescued by an casual bystander who informs him that he could just go to IHOP where “they have all kinds of omelettes that come with pancakes,” so he doesn’t have to choose. He further assists the wanderer by pointing out the nearest IHOP, which has been directly across the street the entire time. The campaign from Droga5 NY was created based on the consumer insight that the combination of omelettes plus pancakes (sweet and savory) appealed to customers. David Shafei of production company World War Seven directed the spot. Client IHOP/Dine Equity Agency Droga5 NY David Droga, creative chairman; Scott Bell, executive creative director; Todd Rone Parker, Daniel Kelly, creative directors; Richard Langhorne, sr. copywriter; Zack Madrigal, sr. art director; Scott Minniear, jr. copywriter; Jackie Moran, jr. art director; Nate Moore, associate design director; Albie Eloy, designer; Amanda Revere, executive producer, film; Forrest Holt, producer, film. Production World War 7 David Shafei, director; Steve Yedlin, DP; Josh Ferrazzano, exec producer; Michael Mitchell, producer. Editorial MackCut Erik Larol, editor; Danielle Minch, assistant editor; Gina Pagano, exec producer; Margarita Mutuc, producer. Color Company 3 Tom Poole, colorist; Ashley McKim, exec producer. VFX Method Mario Caserta, Flame artist; Graham Dunglinson, sr. VFX producer. Music APM Audio Post Heard City Elizabeth McClanahan, mixer; Sasha Awn, exec producer; Andi Lewis, producer. Sound Design MackCut Sam Shaffer, sound designer.